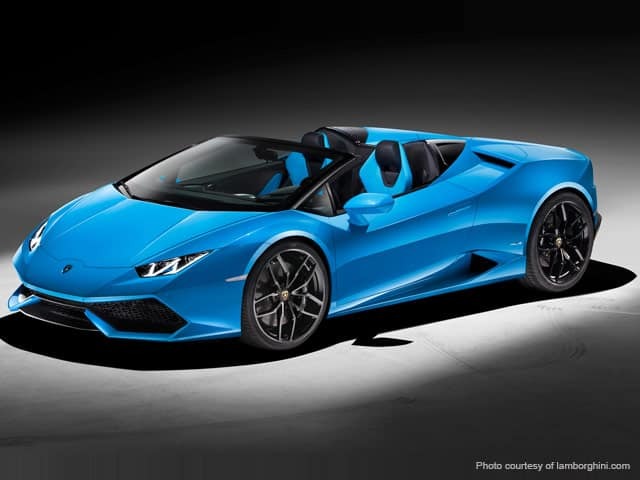 Rent the Huracan Spyder is designed to cut through the air and is a pinnacle of both taste and craftsmanship of the Italian manufacturer. Originally designed as a sports car, it also elevated performance and sensation of the coupe. It provides top performance, and maximum comfort. The Spyder features a 5.2 liter naturally aspirated v10 engine which is the same as that of the coupe. The max power of the engine is 610 CV (449 kW) @8.250 rpm, and its max torque is 560 Nm (413 lb.-ft.) @ 6.500 rpm. The Spyder has a dual clutch transmission and has electrically controlled all-wheel drive suitable for all driving conditions. 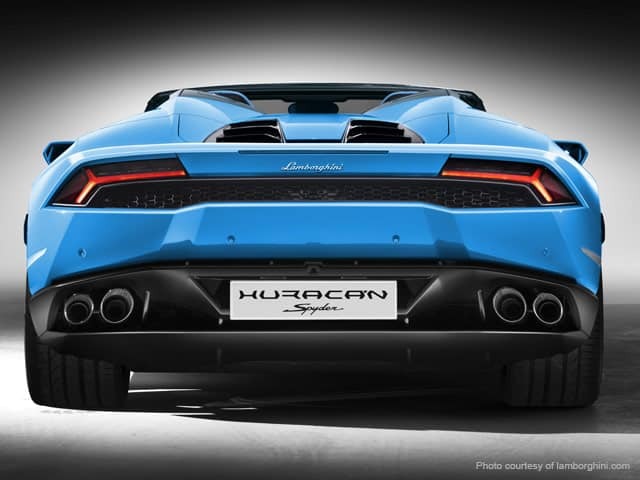 The Huracan Spyder was designed in such a way that the roof was eliminated without compromising on the aerodynamics of the car or its torsional stiffness. Its design is unmistakably a part of the Lamborghini DNA with its seamless roof, which is visible even with the soft top open and its design features the spiky hexagonal form of the carbon atoms. The sporty Spyder has an elegant interior that has ample space and comfort. The interior is designed in such a way that the drivers driving experience is natural and the passenger compartment has the highest quality finish.